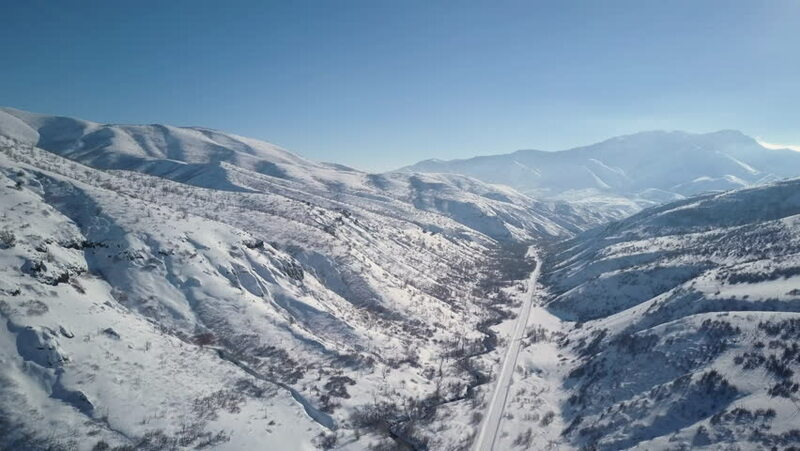 Aerial descending mountain valley road winter snow. Landscape of central Utah. Rural farming rolling hills, dirt roads and trails. Cold season weather. Nature and environment. Drone flight. hd00:22White Snow Rocky Mountains. White snow covered mountain ranges surround smaller rocky, jagged hills. The mountain peaks cast shadows on the valleys and dry creek beds below. 4k00:21Aerial: Hiker climbing snow mountain, ski touring backcountry off piste mountaneering alone, scenic snow capped alps background.